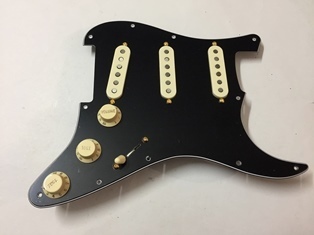 Loaded pickguards with all your favourite Leddin Handwound pickups. 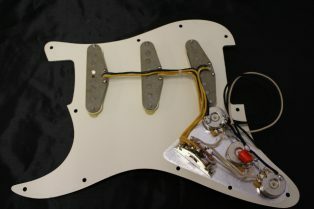 These pickguards are wired using quality components with vintage cloth wire. 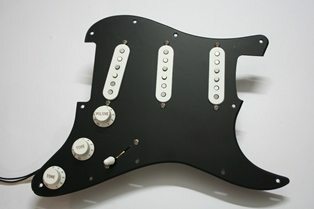 I sell my loaded pickguards on an order only basis and they generally require a 7 day manufacturing time. 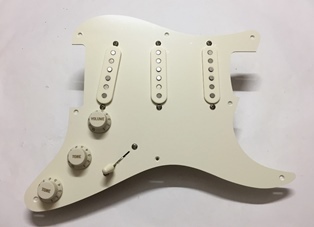 These pickguards feature Allparts pickguards which will fit a USA/Mex Fender guitar also some Japanese Fenders with a little jiggling. 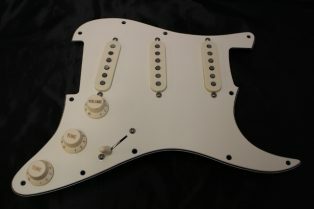 I price all pickguard jobs on a case by case basis but here are some basic prices. 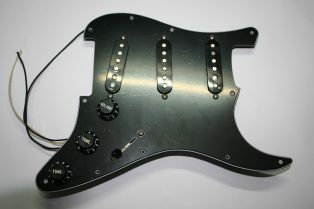 Leddin loaded pickguards are ready to drop in with jack and trem leads, they do not include screws. To enquire about this product or place an order please use the form above.